The San Francisco Museum of Modern Art has acquired Veronika Kellndorfer's Tree House (Casa de Vidro), 2014. 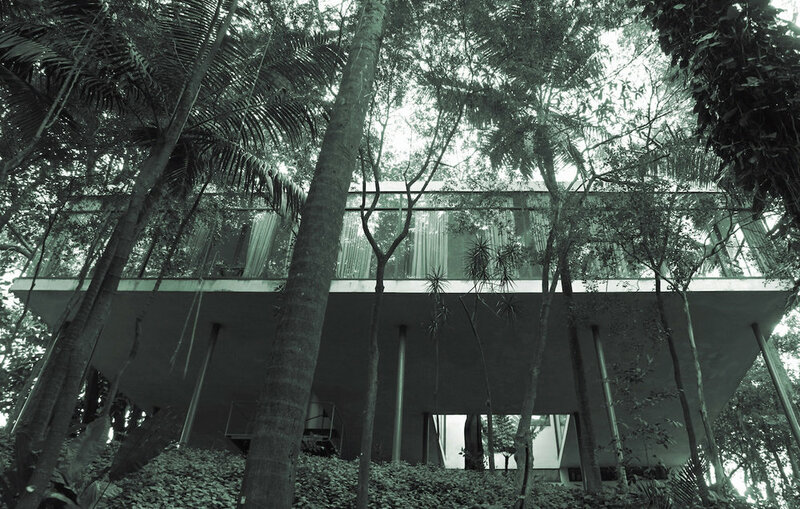 Produced using her signature technique of silk-screening photographic images to highly reflective glass panels, fusing image to form, the work depicts Lina Bo Bardi's iconic glass house in the rainforest surrounding São Paulo, Brazil. Designed in 1951, Casa de Vidro was home to Bo Bardi and her husband, Pietro Maria Bardi, for over forty years and now houses the Lina Bo and PM Bardi Institute. Tree House has been exhibited at the National Museum in Oslo, Norway (2017) and the Architekturmuseum of the Pinakothek Der Moderne in Berlin, Germany (2014), and was featured in the exhibition Cinematic Framing at Casa de Vidro, Instituto Lina Bo Bardi in 2015. The work will also be included in the forthcoming exhibition, Albert Frey and Lina Bo Bardi: A Search for Living Architecture opening in September 2017 at the Palm Springs Art Museum.